Magic Pest Management is specially designed to tackle common household pests in Queens, Brooklyn, Manhattan, the Bronx, NYC, and Long Island such as bedbugs, roaches, termites and rodents. These undesirable creatures that infest households, buildings, or surrounding areas are pests that can pose serious risks to human health and safety. It is a Queens pest control worker’s job to eliminate them. Queens exterminators locate, identify, destroy, control, and repel pests. They use their knowledge of pests’ biology and habits, along with an arsenal of pest management techniques — applying chemicals, setting traps, operating equipment, and even modifying structures — to alleviate pest problems. To get rid of termites in Queens, NY, Magic Exterminating recommends using Sentricon Termite Colony Elimination System with Always Active technology. The Sentricon system has been proven to eliminate entire termite colonies, making it the optimal choice for exterminating termites. Termites cause many structural and wood infestation problems in Queens. If you live in an area where termites are common or you think you may have a problem with them call Magic Pest Management for a free inspection and recommendations for control. Sentricon Always Active is a non-intrusive, environmentally responsible termite exterminating solution. Magic's treatment methods do not involve drilling in floors/foundations, trenching to landscaping, or chemical solutions injected into the ground. 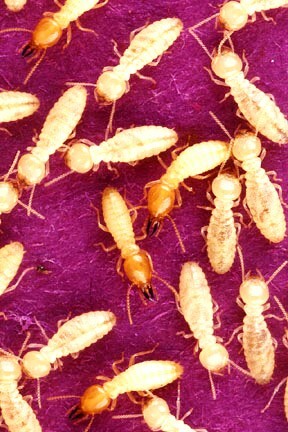 These reasons make Sentricon an ideal solution for termite control in Queens, NY. In addition, the bait used to eliminate termites poses no hazard to groundwater, and is the only termite control product to ever receive the Presidential Green Chemistry Challenge Award. To learn more, visit Magic's Sentricon Always Active Termite Exterminating page. Pests that are common in Queens households include roaches, termites, bees & wasps, ants, and bedbugs. 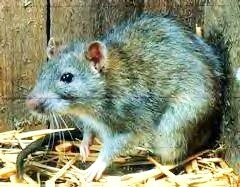 Magic Exterminating handles them all by using specialized pest control techniques that will find and exterminate rodents and insects in New York City and Queens. We'll take care of exterminating problems in your apartment or home in Queens. The bed bug hides in cracks and crevices during the day, preferring to rest on wood and paper surfaces instead of stone and plaster. It leaves these harborage areas at night to feed on its host, which include humans, birds, hogs, and family pets. 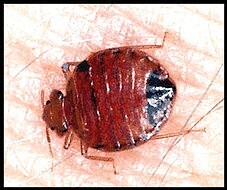 Bed bugs are a common problem in Queens apartments, and a Magic pest exterminator can get rid of these bedbugs fast and easily. Common pests found in Queens include the bed bug, rodents (including rats and mice), cockroaches (roach infestation can be a major problem in New York City), termites, ants, bees and wasps. If you're having trouble identifying a specific problem, use Magic's Pest Identification Webpage to learn more about your pest. Magic Pest Management’s fumigation service is designed to protect products in storage, exhibits or shipments against costly pest infestation. The Magic fumigation service provides a comprehensive solution that covers every stage of your project - anywhere and at any time. We are a Queens based company and have highly trained teams of fumigation specialists ready to provide service on large jobs or small, anywhere in the metropolitan area.